The focus of this issue is on appraisal problems, particularly re-inventing the review appraisal supervision role. 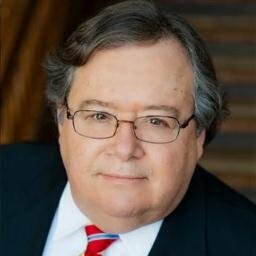 This issue — which is ongoing — is a matter of considerable discussion and debate within the appraisal community. I’ll leave that matter to other pundits, but with the caveat no solution on the drawing board today will make everyone happy. It may be a bit more interesting to examine the underlying arguments within the FDIC, to gain some insight in to where that agency is “coming from”. First, Table Four from the publication really sets the stage with the overarching problems facing the FDIC. 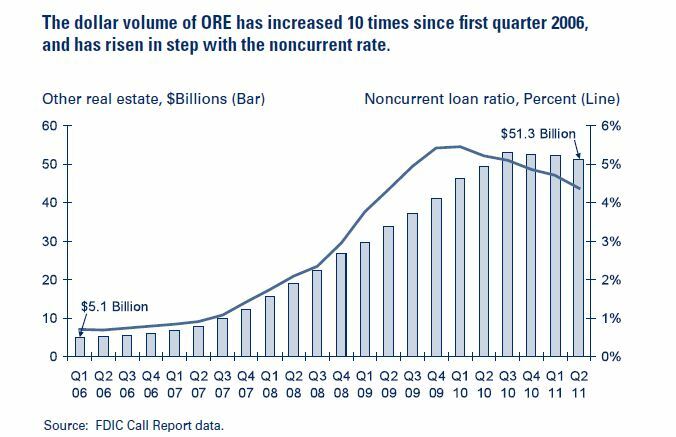 Notably, while the non-current loan ratio is slightly down from two years ago (although, terrifically higher than before the current crisis began), the dollar figure of “other real estate” (FDIC code for “real estate owned” or REO) hovers about 10 times as high as in 2006, with no end in sight. So, the FDIC is challenged not only with fixing the CURRENT problem, but laying blame — so as to presumably prevent the NEXT crisis. Peeling back the layers of the onion, Table Three from that same report give significant insight into their perspective on the problem. 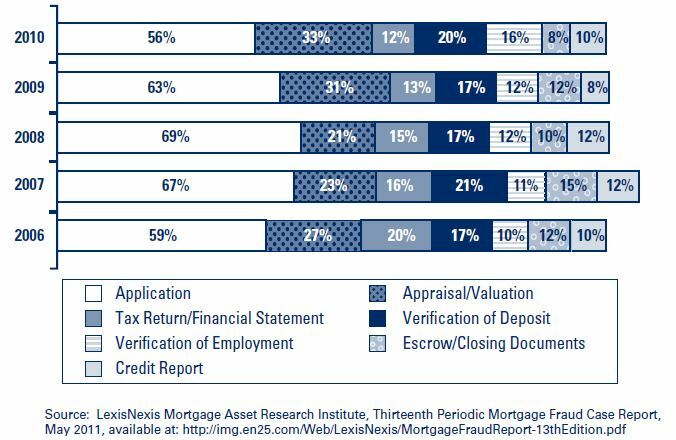 This data comes from LexisNexis, and the percentages do not total to 100% because many cases have multiple sources of problems. Nonetheless, since 2006, the trends for all categories have been flat or trending positively except for appraisal problems, which are now significantly higher than at the beginning of the crisis. One might argue that the increasing percentage of cases with appraisal problems is a manifestation of increased investigation in that realm, but that would be damning with faint praise, since it implies that oversight was lacking in the past.